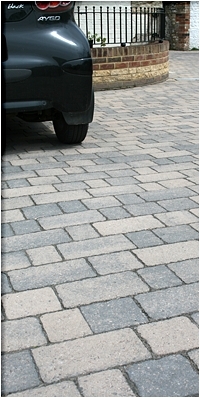 We have specialised in the design and installation of block paved driveways since the company was formed back in 1994. Founded on the back of years of extensive experience in the home building sector, placing great emphasis on quality of workmanship and attention to detail, But above all providing reliability for our customers. Based in Waltham Cross Hertfordshire we are ideally situated to provide a quality service to an extensive area covering North London, Hertfordshire and Essex. In 2005 Marshalls appointed London Block Paving Limited to their select list of The Approved Register of Landscape Contractors and Driveway Installers'. Over the 18 years of installing driveways we have gained a unique insight into the specialist requirements of the domestic paving sector, being flexible enough to deal with both small and large-scale projects. Click below to visit the Marshall's Register website. No outside contractors are used on our paving projects. We are covered by our £2 million public liability insurance. A strict code of practice is adhered to on every driveway and patio installation. Addresses of previous driveway installations are available on request to view. We never ask for deposits or money in advance for work. Most of our standard block paving driveway installations are completed in one week.